That's strange. The picture on the Netflix page looks like the 25th Ann. Edition, but it isn't. It's the older one, the 25th doesn't have Pan & Scan, it's a single sided DVD whereas the older one is a two sider, widescreen on one and standard on the other. I posed that question in the other thread and included a pic of the actual DVD. Yeah the Oldergeist is a two sider, and well you know what the Newergeist looks like. Unless I'm missing the question. Is there a question? Where are my keys? What's Vietnam? I asked if it was possible that Netflix was using the new art and sending the old discs. Well on the Netflix product page it lists the Screen Formats as Widescreen Anamorphic 2:35:1 and Pan & Scan 1:33:1. The 25th Ann. doesn't have the Pan & Scan option. I just wonder why RiffTrax doesn't just buy the discs for the movies they release for. I could see using Netflix to screen potential targets but why not spend the dough and have it there for these kinds of things (that granted doesn't happen all that often). We actually do buy them 99% of the time...this was an odd occasion. We have Crossroads and Casablanca kissing. Part of the problem is a number of people rent their discs from Netflix and watch the riff with those discs, so they need to check them to see if they synch. I can remember a number of incidents where people were complaining that the rental disc didn't synch with the riff as Netflix was using an older version of a movie than was available at retail. It's definitely out of sync. I got this version, and it's closely in sync, the first sync line is in sync, but then it starts to drift for no apparent reason. Each sync line seems to add a cumulative 0.2 seconds to the drift, and by the second hour, it's to the point where the movie is at least 2 seconds behind, and a lot of the jokes fail to make sense. I'd like to know if anyone is doing the old fashioned way, without reauthoring, and if the sync falls out of place. This is the version I used. The last couple of syncs were off by no more than a second. I finished re-authoring, but I won't be able to watch it until tomorrow. The version I got from Netflix was the 25th anniversary edition. 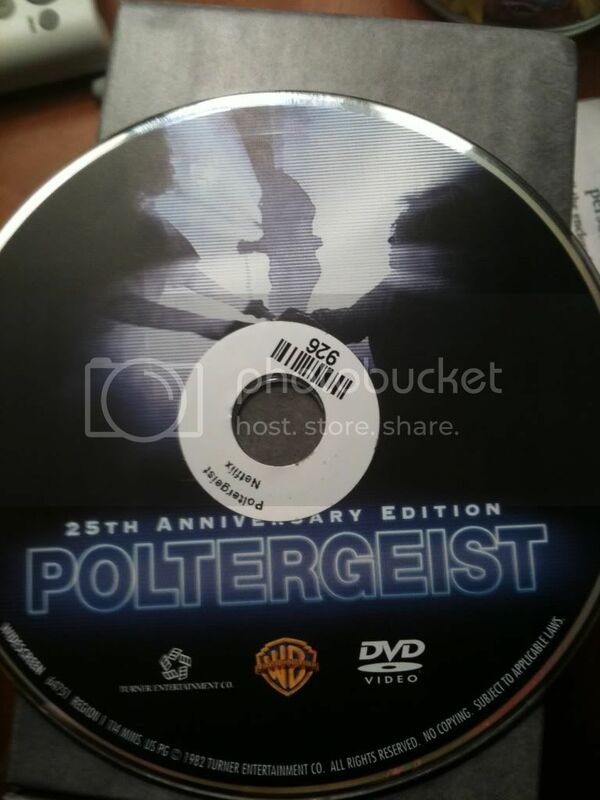 The disc looked like this? Huh. Well there ya go. Again proving that unless I have it right in front of me, I shouldn't speculate. (More speculation) I guess they never updated the info on the Netflix product page. Hmm. The new file seems to add some weird second channel that's all static in Audacity. The first track there is the original riff. The second is the new 25th anniversary track. Anyone else getting this? I'm thinking I'll have to convert the MP3 to an AC3 before using it in Audacity. 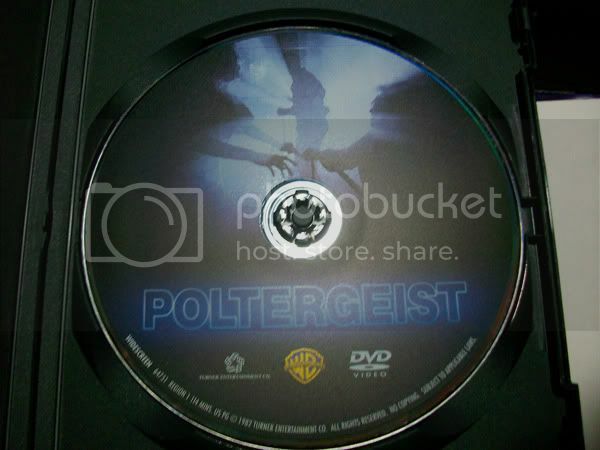 I didn't have that issue with the Poltergeist Riff but I have had that problem in the past. Sometimes it seemed to be the Audacity version as if I used a older or newer version it didn't happen. I believe that some of the earlier Riffs had that issue, haven't come across it in some time. The last time it happened I believe I just converted the Mp3 to Wav and then Audacity had no issues.